Radio increased in popularity in the early 1930s. 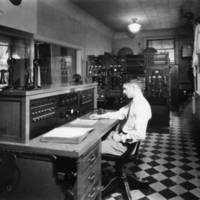 More homes had radios, inspiring more companies to get into the radio game. 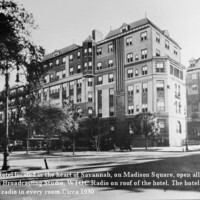 Newspapers and Junior Chambers of Commerce often sponsored stations in the hopes of gaining advertising dollars and places to promote local businesses. 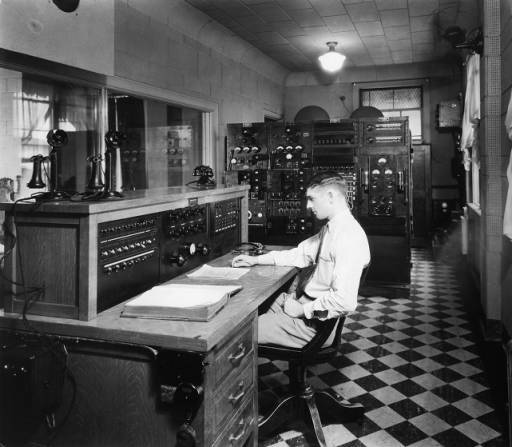 Nineteen new stations were founded from 1933-1942, including WSAV (Savannah), WMOG (Brunswick), WGOV (Valdosta), WALB (Albany), WBML (Macon), and WGAC (Augusta), bringing the total number to 29 in the state. Spurred by this boom and the possibility of collective bargaining power against music licensing companies, W.T. Knight, E.K. Cargill, and Steve Cisler founded the Georgia Association of Broadcasters in 1935. 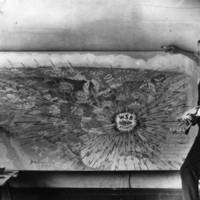 Even with the addition of new radio stations, the 1930s had far fewer stations on the air than we are used to today. 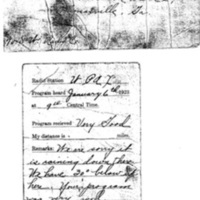 This allowed “DX-ing,” or long-distance listening. Listeners reported tuning in to WSB from across the country and even across the Atlantic Ocean. 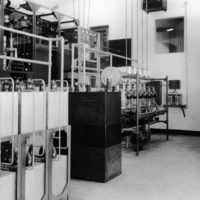 In 1933, WSB was given permission to increase transmission power to 50,000 watts, the highest allowed by law, and in 1936 was given the “clear channel” exclusive frequency of 750AM. With these changes, WSB began reaching an even larger audience than before. 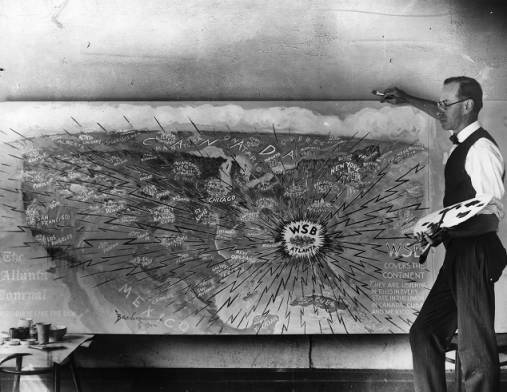 When WSB’s power increased to 50,000 watts in 1933, broadcasts reached audiences across the country and abroad. 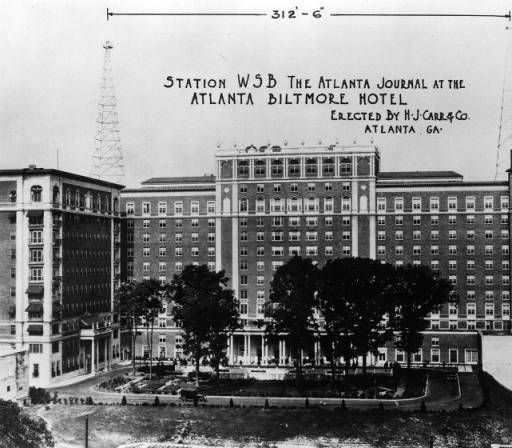 The expanded WSB offices at the Atlanta Biltmore Hotel had space for the quickly advancing radio equipment. 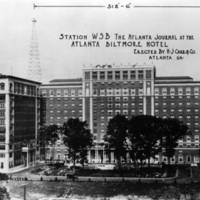 WSB’s transmitting towers sat high atop the Atlanta Biltmore Hotel, one of the highest buildings in the city. 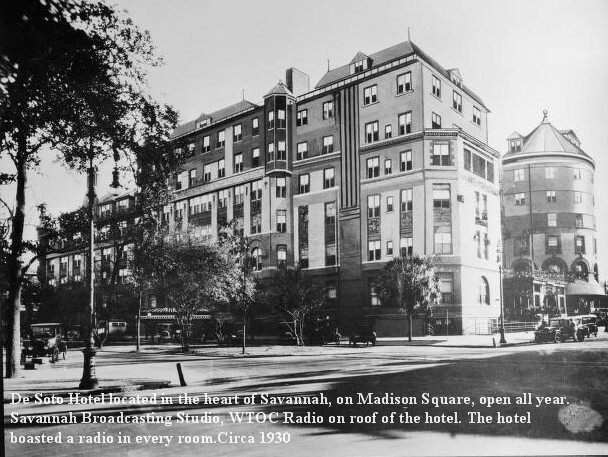 Other stations also took advantage of hotels for their broadcasting studios, including WTOC (Savannah), located on the roof of the De Soto Hotel. 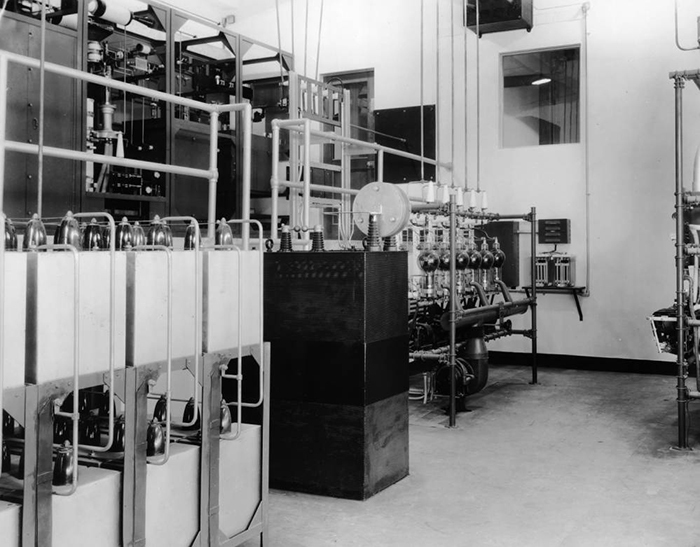 Equipment in WSB's transmitter building that facilitated the increase of transmission power. 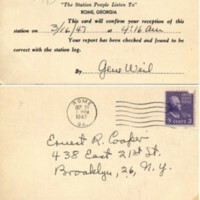 When a station was “DX-ed”, the receiver sent a card to the broadcaster to confirm the contact. 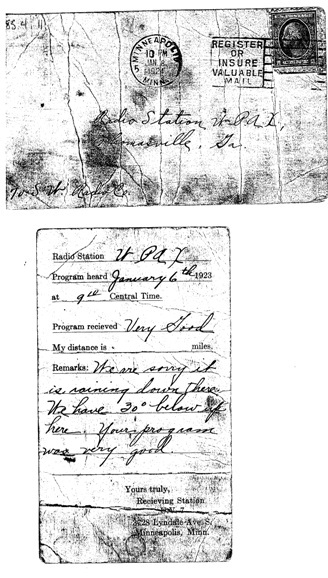 WPAX (Thomasville) received this DX card from Minneapolis, Minnesota in 1923. 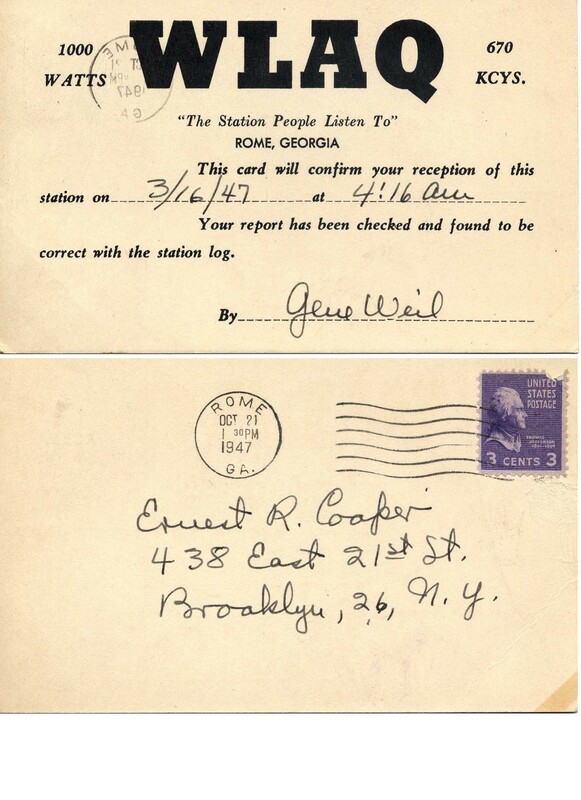 Stations checked their logs to confirm a DX report was accurate and sent a response, like this one from WLAQ (Rome) in 1947 to a listener in New York.